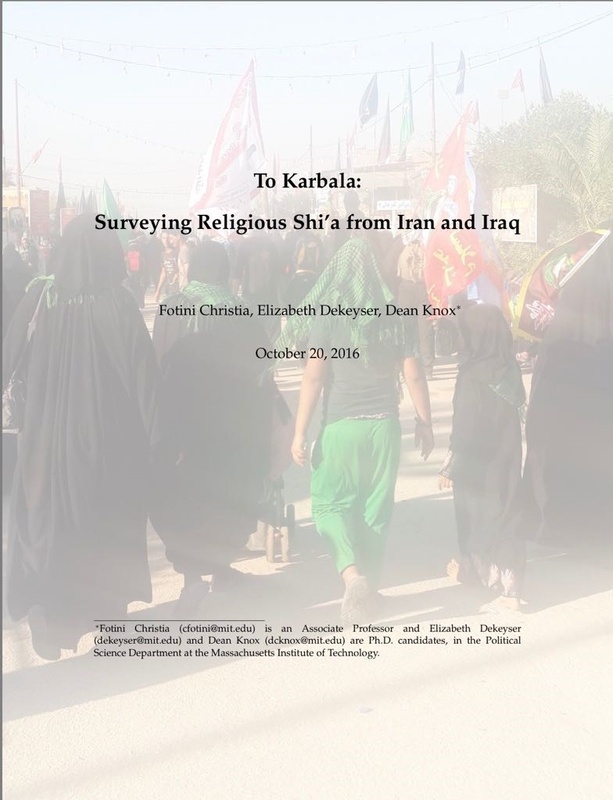 Oct 2016: Massachusetts Institute of Technology and the UNESCO Chair on the Development of Inter- Religious Dialogue Studies in the Islamic World, Professor Hassan Nadhem collaborated towards the publication of a new book titled ‘To Karbala: Surveying Religious Shi’a from Iran and Iraq’. The book captures the attitudes and beliefs of religiously observant Shiites by surveying Iranians and Iraqis on pilgrimage to Karbala for the Shiite holy day of Arba’een. The survey was conducted by Fotini Christia, Elizabeth Dekeyser, Dean Knox. Professor Nahdem has translated the book into Arabic to reach readers in the Arabic world.